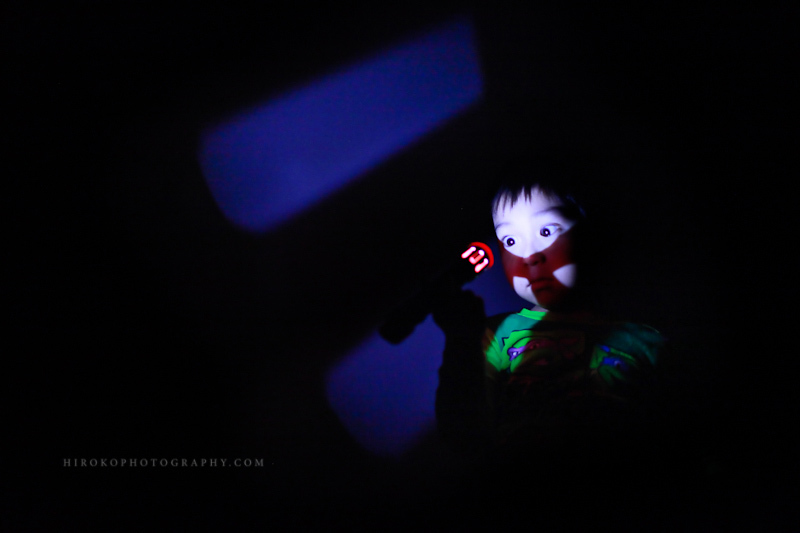 My son’s lovely classmate gave him an Avengers projector flash light for his birthday. This is such a cool toy that even I played with it for a little bit. My husband kept telling him “NOT to look into the light! It will hurt your eyes!” repeatedly, which made my son want to look into the light even more. This is what happens when daddy left the room.